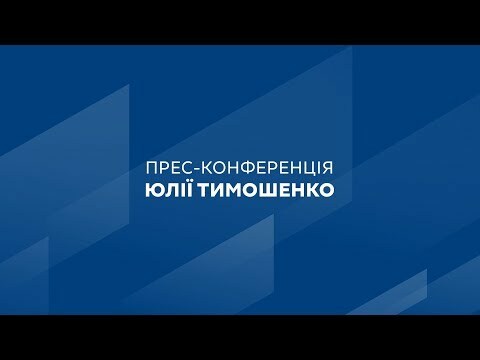 Batkivshchyna Party Leader Yulia Tymoshenko says President Petro Poroshenko made it to the second round of the elections through falsification but her party will not contest the results and will use the chance after the parliamentary elections to change the country. “With regard to President Petro Poroshenko’s results, I can say that the elections were falsified and he made it through to the second round dishonestly,” Yulia Tymoshenko said during a press conference in Kyiv. According to the politician, the technologies used included direct and indirect bribery of voters, supplements to pensions, monetization of subsidies, and material assistance handed out from the budget. The registration of a technical candidate with a similar name also took votes away from her. “This means that the President did not plan to run honestly,” said the Head of the Batkivshchyna Party. The politician also said that Batkivshchyna does not see any sense in contesting the results because the President controls the judicial system. “We will not go to court. The reason is simple: the judicial sysyem is as fake as Poroshenko’s elections and will not deliver just decisions – it will be a waste of our time,” she said. The politician also said that Batkivshchyna will not call people to protest the results so as not to affect the stability in the country. “We understand that raising people to protest can become a springboard for the aggressor country – Russia. I will never allow the stability in Ukraine to be disrupted and internal confrontation ignited. I respect the choice of the people. We defended and will continue to defend this choice,” she said. Yulia Tymoshenko added that the “old corrupt clan system remains in power but Batkivshchyna will continue to fight for Ukrainians to have a decent future in their own country through implementation of the New Course for Ukraine after the parliamentary elections in autumn 2019. “We wil step by step use all opportunities to implement our strategy and our action plan. Our fight for a just Ukraine is not over and the chance lost in the first round of the presidential election is only one lost chance. We have one more chance in the parliamentary election, and that is a chance we cannot miss,” said the politician.